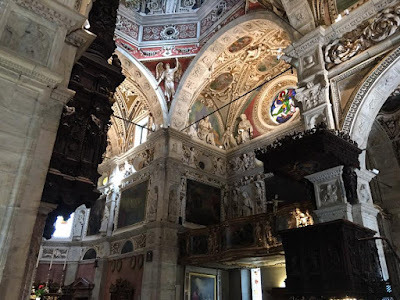 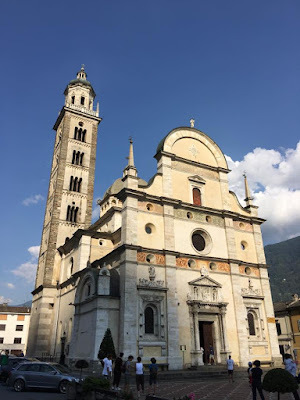 A sanctuary in the Valtellina, a valley in the northern part of the Italian region of Lombardy, is a beautiful example of the Blessed Virgin Mary’s providential intervention to preserve the integrity of the Catholic faith. 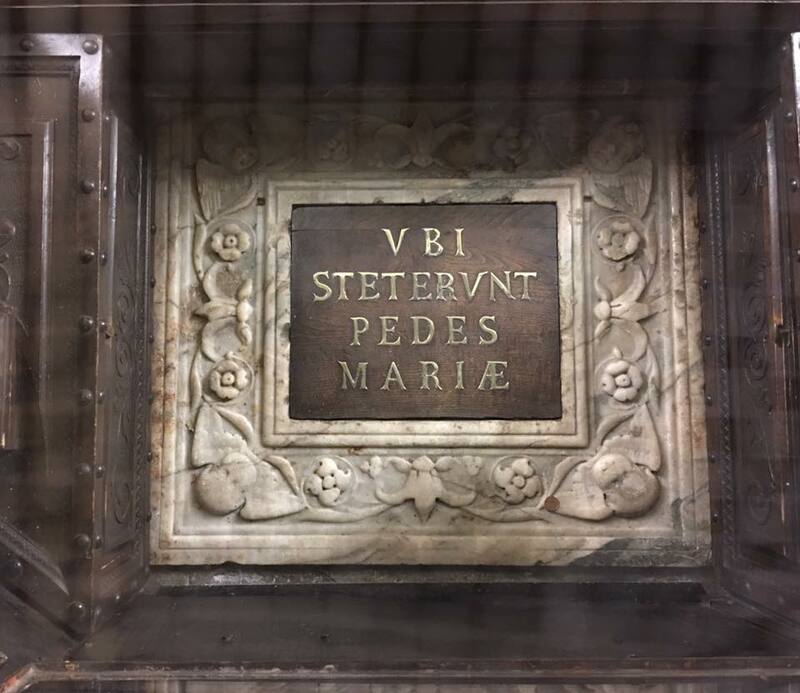 In 1504, She appeared to a local man, the Blessed Mario Omodei, and asked that a shrine be built to her in the region; the apparition’s authenticity was confirmed by the miraculous healing of his very ill brother, and the end of a plague among the local animals. 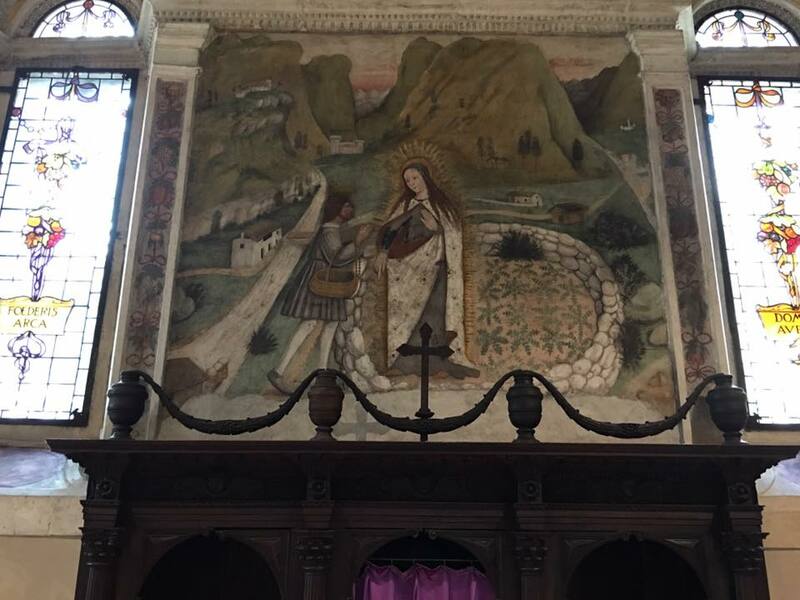 The foundation was laid on the feast of the Annunciation the following year, and the church was completed over the following eight years. 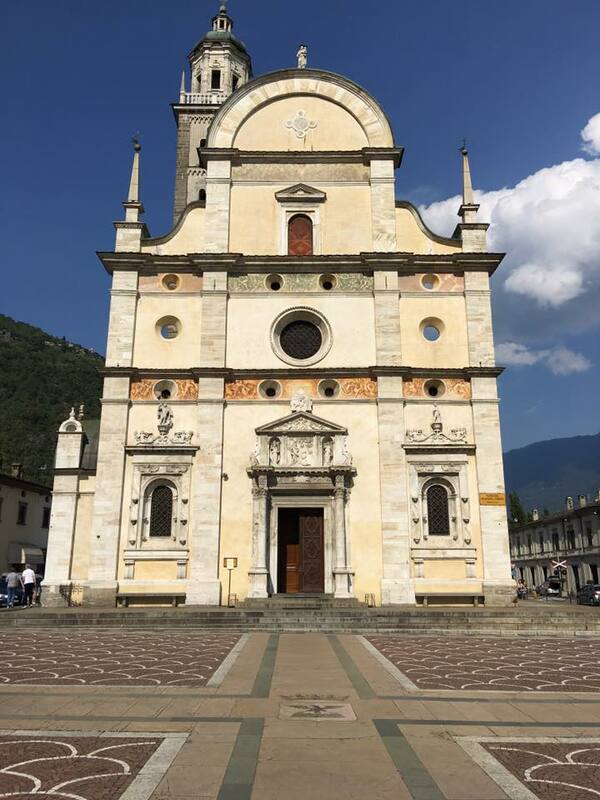 In the meantime, however, the Valtellina had been occupied in 1512 by the bordering Swiss canton of Grisons, which would shortly turn Protestant; this occupation would last until 1797. 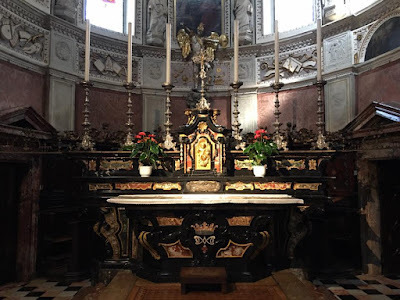 In those years, the sanctuary proved an important bulwark against the Lutheran and allied heresies, in a region where the large Catholic majority found itself governed by an often hostile Protestant regime. 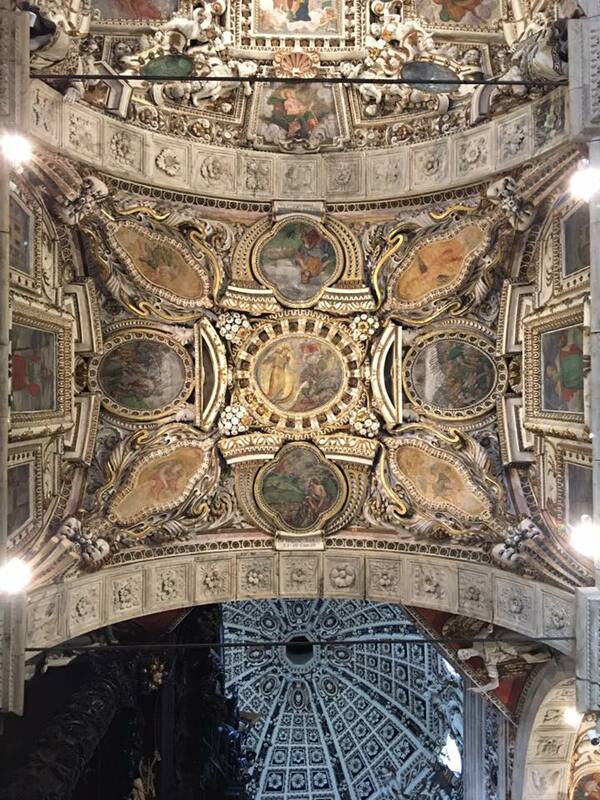 Thanks to our Ambrosian correspondent Nicola de’ Grandi for these pictures. 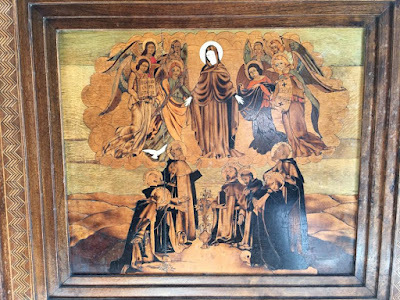 The Apparition of the Virgin to Bl. Mario Omodei, represented in a fresco of the year 1513, only 9 years after the event. 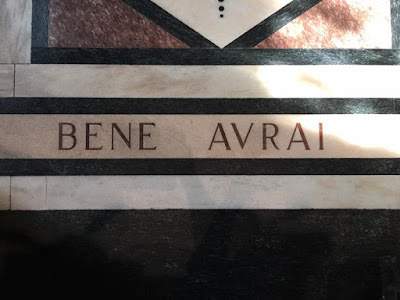 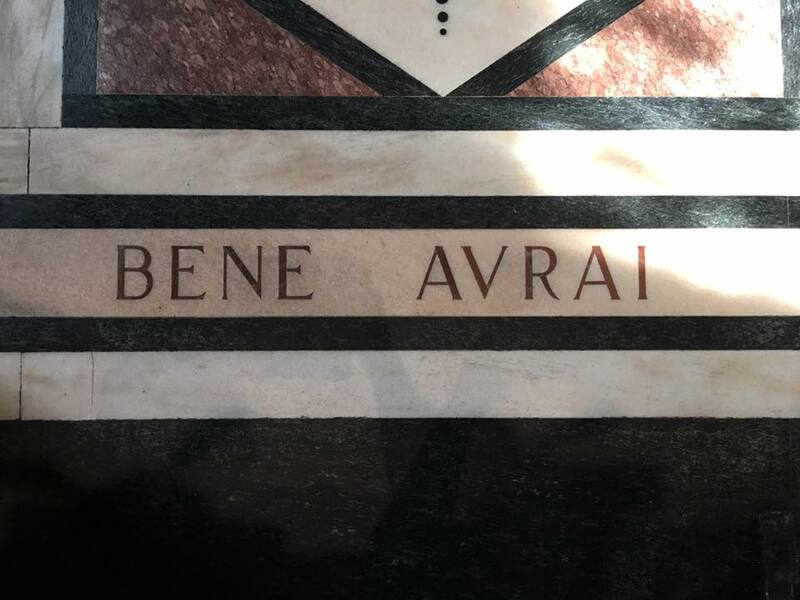 When the Virgin called him by name, the blessed Mario answered by saying “Bene?” (Well?, as in, “Is all well?”), to which She answered “Bene avrai - you will receive what is good,” referring to the miraculous healing of Mario’s brother. 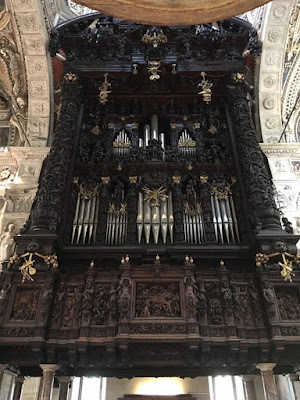 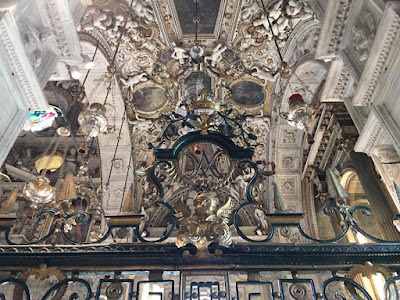 The high altar, made of black marble from Varenna by Giobvanni Battista Galli di Clivio in 1748. 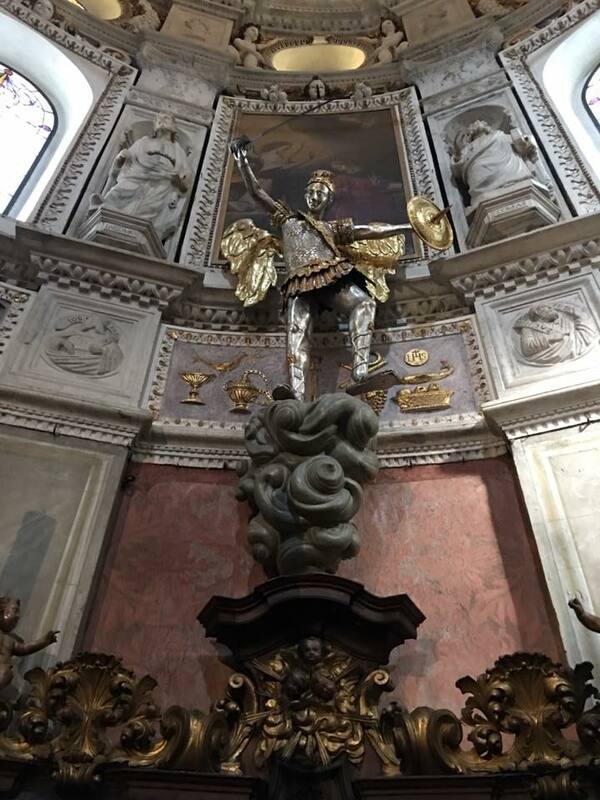 A statue of St Michael over the altar, in gilded and silvered copper, 1768. 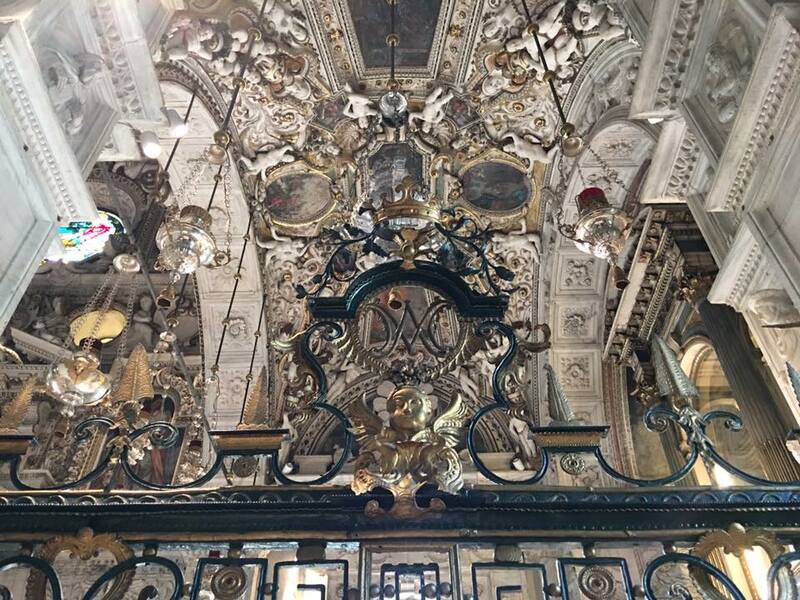 Part of the large gate who surrounds the sanctuary of the altar where apparition occurred, work of Pietro Antonio Citerio and Giovanni Maria Acquistapace di Morbegno, 1792. The statue of the Virgin over the altar of the apparition, by Giovanni Antonio del Maino di Pavia (1519-24). 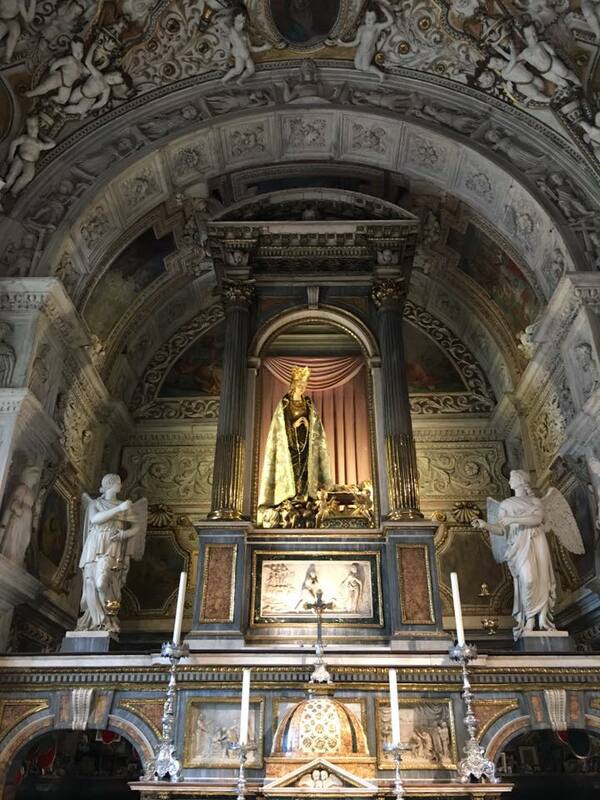 The Virgin and Child were crowned on September 29, the day of the original apparition, in 1690, by permission of the Chapter of St Peter’s Basilica. 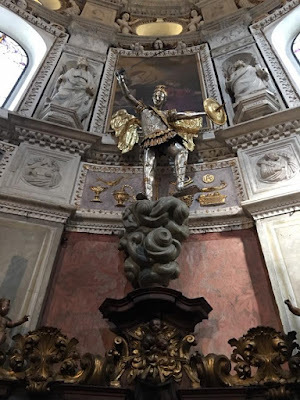 The silk and gold mantle that covers the statue was given by the people of the Valtellina during a plague that afflicted the valley in 1746. Bulgarini is also credit with the creation of this pulpit. The belltower, designed by Pietro Marni, was built between 1578 and 1641. 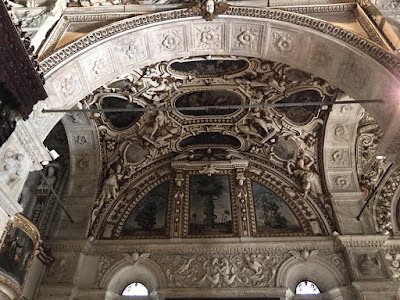 The cupola was built from 1580-84 by Pompeo Bianchi, previously the chief architect of the Cathedral of nearby Como. 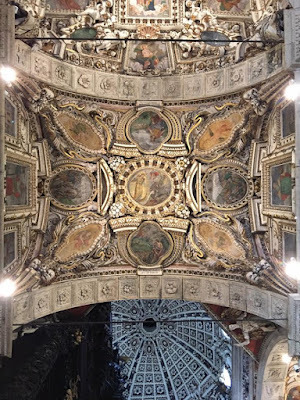 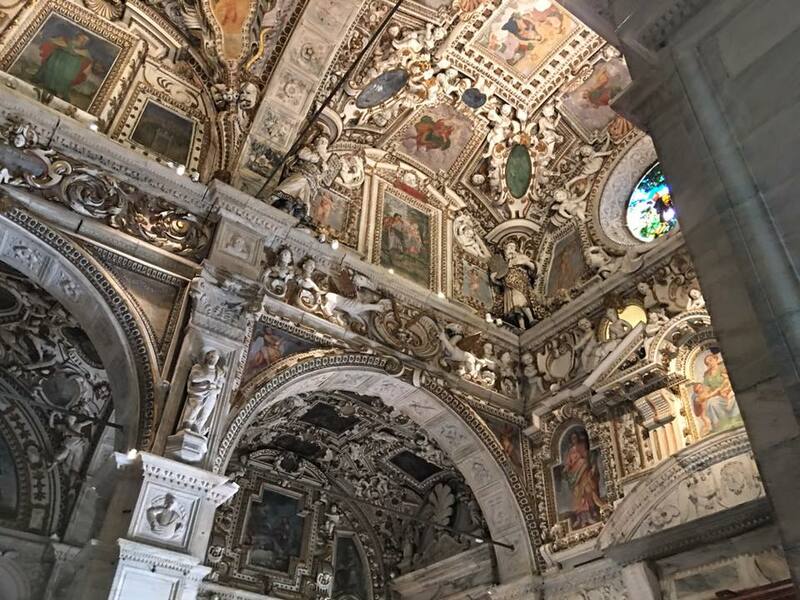 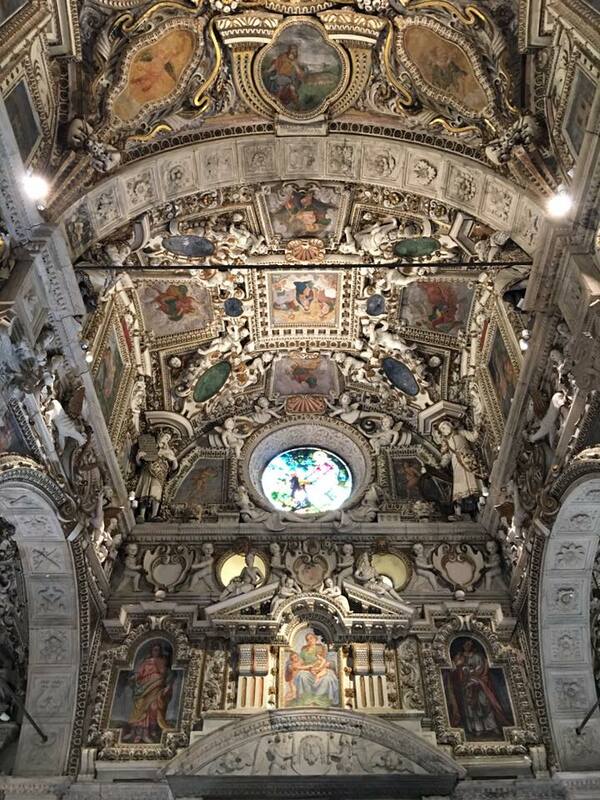 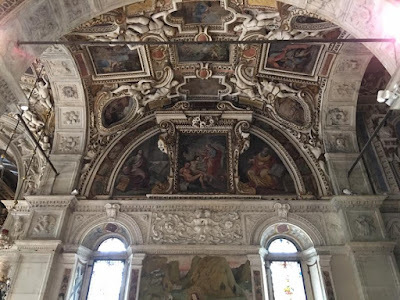 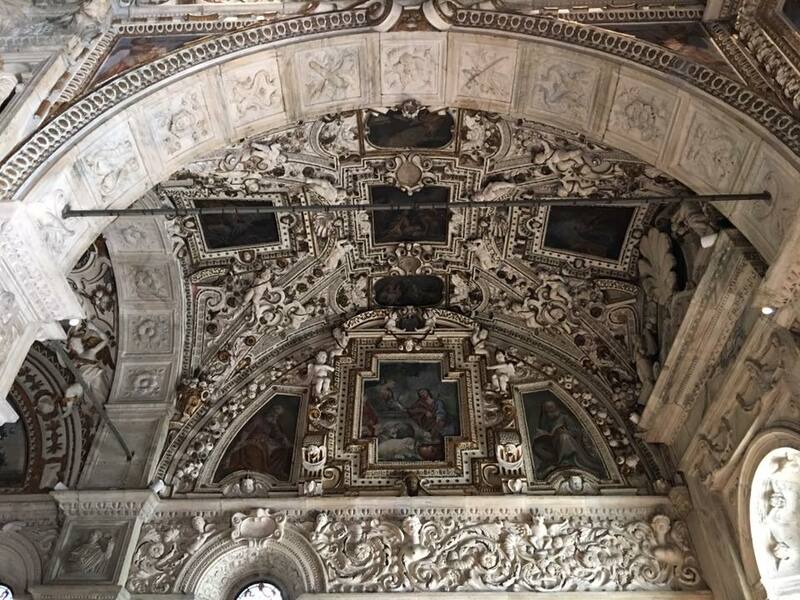 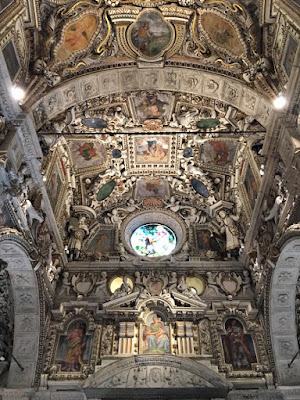 The ceiling of the church is covered in elaborate stucco decorations surrounding frescoed panels, a style very popular in the later 16th century Mannerist period. 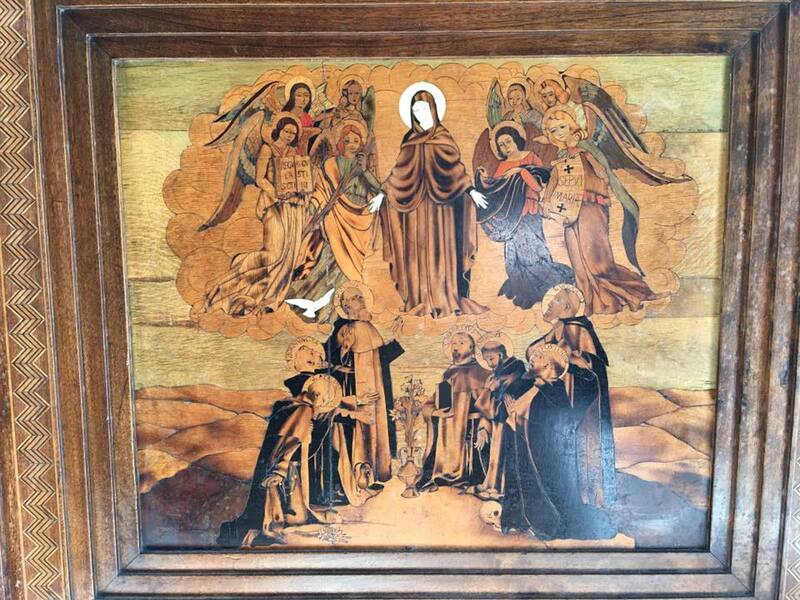 A decorative panel in the choir stalls of the main sanctuary, restored in 1928, showing the Seven Founders of the Servite Order, the current custodians of the church.